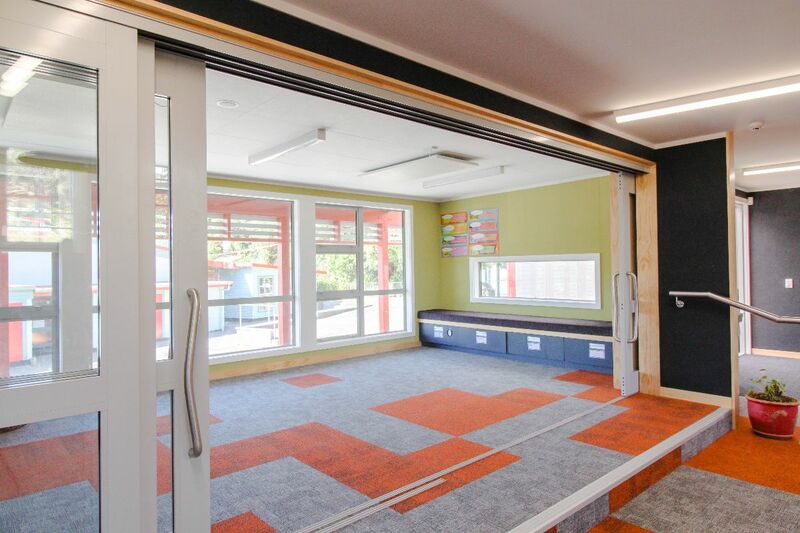 Three classrooms in an existing block at Island Bay School were converted into a large space in line with ILE principles. T&R provided acoustic and seismic advice on the products required and this formed an important part of the design process. 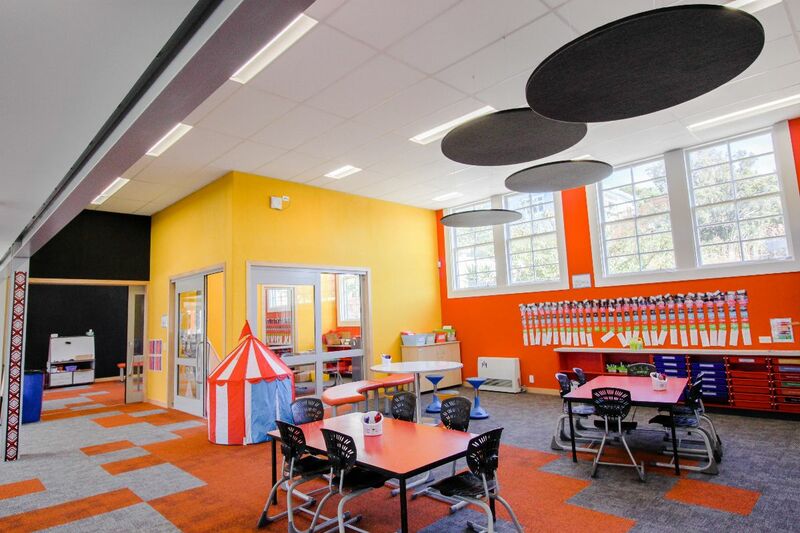 A highly absorbent ceiling and additional polyester clouds provide a high level of absorption while a strip of GIB plasterboard helps to provide reflection in key areas. 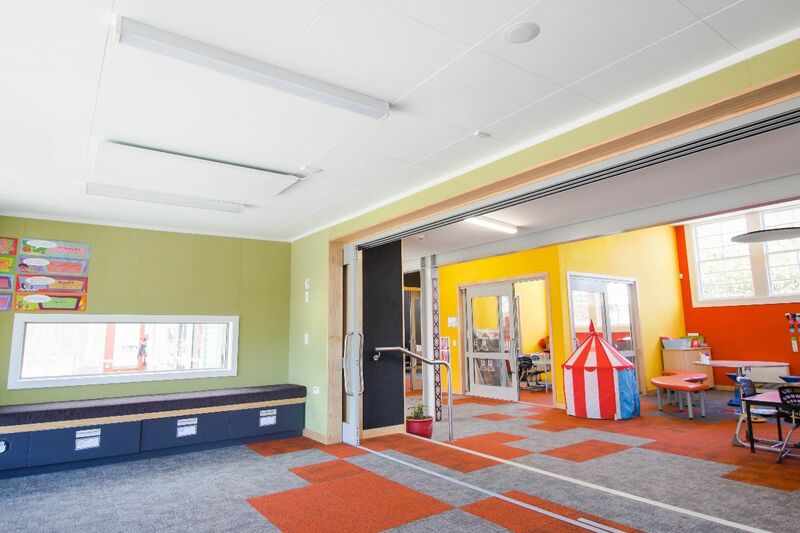 Don Jamieson Architects worked with the long open space and created break out spaces to create zones in the room. 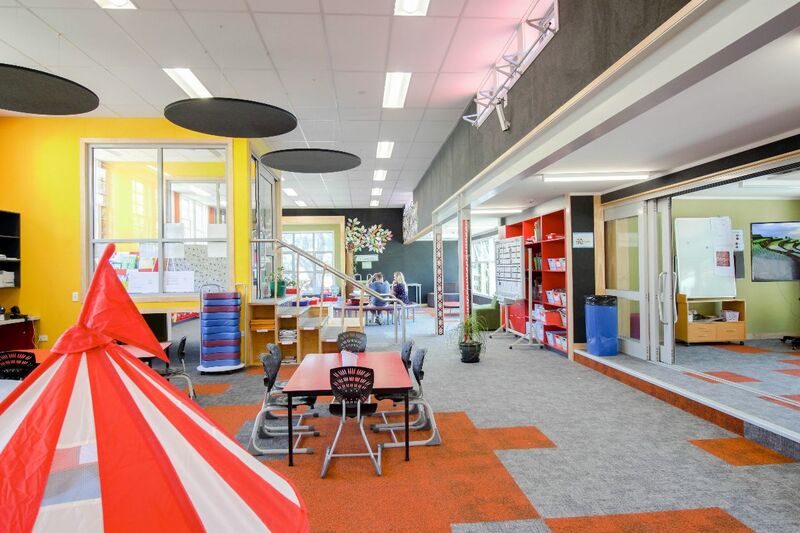 Products used were: C Max Absorb acoustic tiles, C Max Direct Fix tiles, CBI grid (with seismic design) and Polyester circle acoustic panels leading to a short (tested) reverberation time.